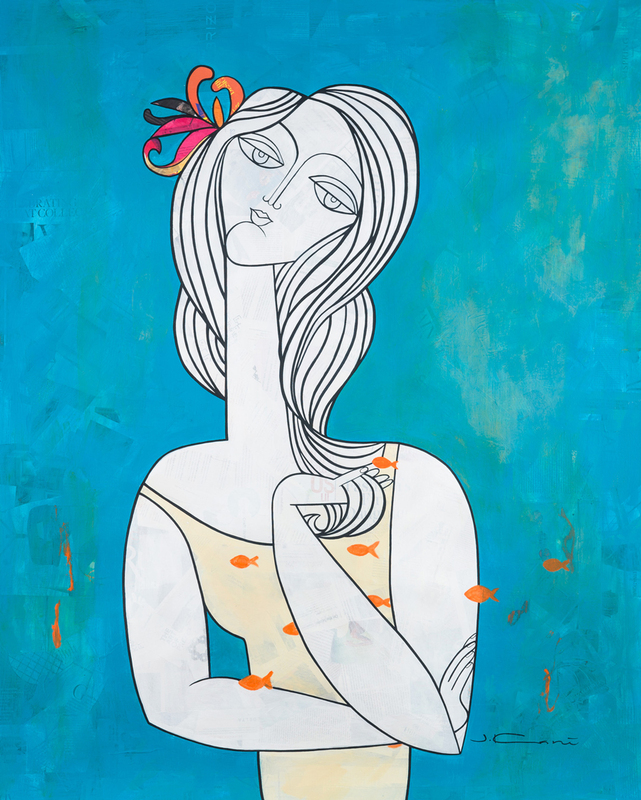 Kismet XXXIV, Jinous Kani contrasts graphic fields of color with the stark, elegant lines of the graceful figure. Kani’s layered magazine and newspaper collage adds depth to the composition—A colorful flower blooms in her hair and bright orange goldfish playfully swim by, resulting in a whimsical atmosphere sure to bring a smile to the viewer’s face. To view Jinous Kani’s work in person, visit the gallery nearest to you.